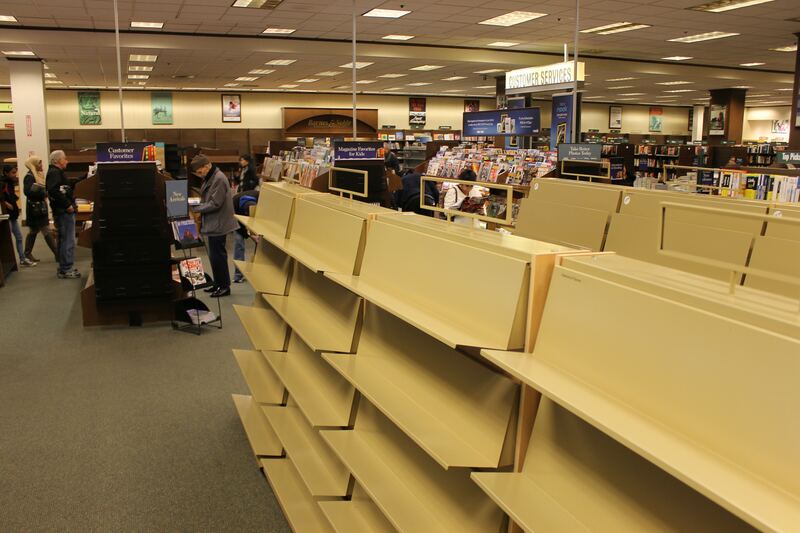 Barnes and Noble fired 1,800 people last week in a bid to save $40 million dollars per year. They let go hundreds of casiers, receiving managers, the people who order and stock magazines, the folks who lead storytime and read books to children. They also axed the folks who manage the discount bins and the Nook technical and sales staff. The bookseller also laid off many shipping receivers around the holidays, resulting in bare shelves and a customer exodus to Amazon. In December 2017, usually B&N’s key month, sales dropped 6% and they generated $953 million, while online sales fell 4.5%. The average full time employee was making between $22,000 or so per year and minimum wage workers – hourly folks who are usually hit hardest during post-holiday downturns – would be making $15,000 per year. Barnes and Noble is trying to fire its way to profitability, but they are letting go of the people who love books. The people who dress up and read books to kids or the Nook folks who love e-readers and ebooks and constantly sing the praises of the digital platform. This comes after they made big payoffs to the last two CEOs they got rid of. Heartbreaking and infuriating. Remind me why someone hasn’t bought Barnes and Noble for pennies on the dollar. Amazon? Google? Apple? Walmart? Best Buy? Target? Anyone? They got big signing bonuses, fired and millions in severance. So what you’re saying is that besides being history’s most terrible owner he’s also a stubborn idiot? He can get pennies on the dollar any day. Why do it now? Selling indie books on their website was also futile. Their UX for sellers was far inferior to Amazon Marketplace. And when uploading a lot of books info, to sell those books, their servers would occasionally drop some data. I quit selling on BN 3 years ago.